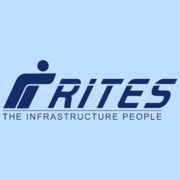 RITES Ltd Recruitment 2019 - Job notification for General Manager Posts in RITES Ltd, Gurugram, Haryana on Deputation Basis. Applications are invited by RITES Limited on or before 27 Feb 2019 for 2 vacancies. IRTS officer with more than 19 years of Group 'A' service with experience in Railways In Train Operations/ Commercial/ Safety & Policy Decision etc.